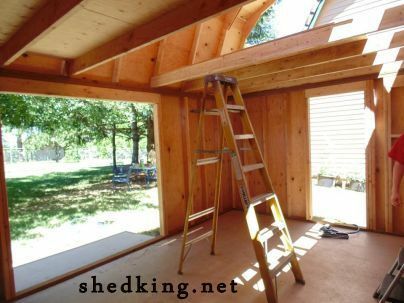 Here are some shed loft illustrations and pictures showing the framing for adding a shed loft to increase your storage space. 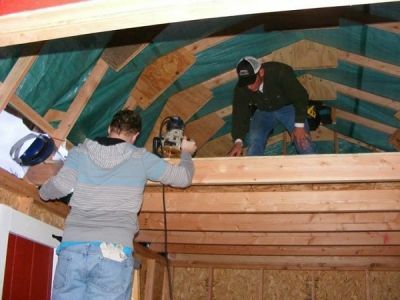 A shed loft, or attic in your shed can be used for a multitude of purposes! Of course, the most obvious is using it for increased storage. 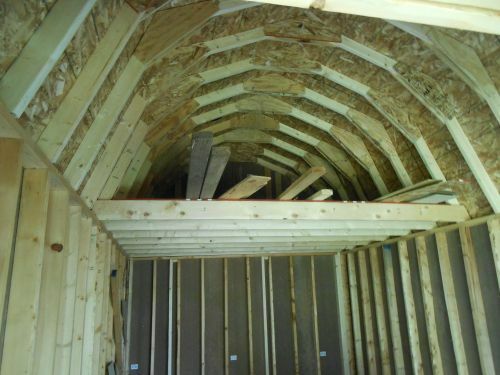 Another use is for sleeping quarters in tiny houses, cabins, and cottages. Or it can be a play space in a children's playhouse. 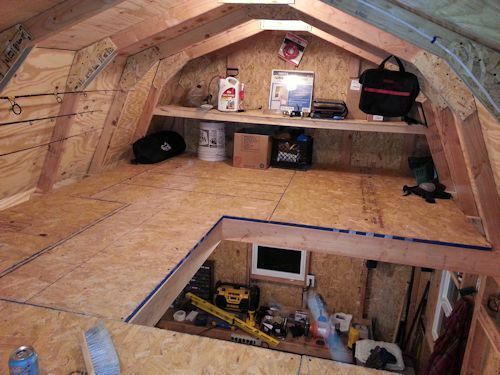 Whatever your need is, you'll definitely find that building a shed loft will come in very handy! So Many Uses For A Shed Loft! 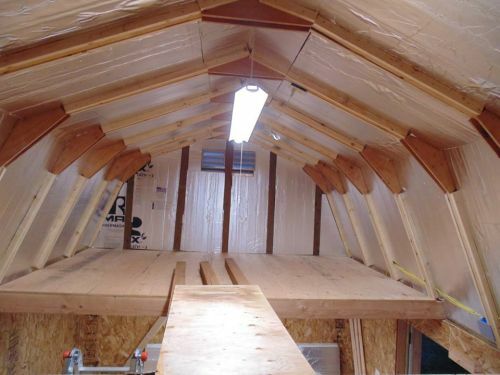 A shed with a gambrel style roof offers the most storage space in the attic. 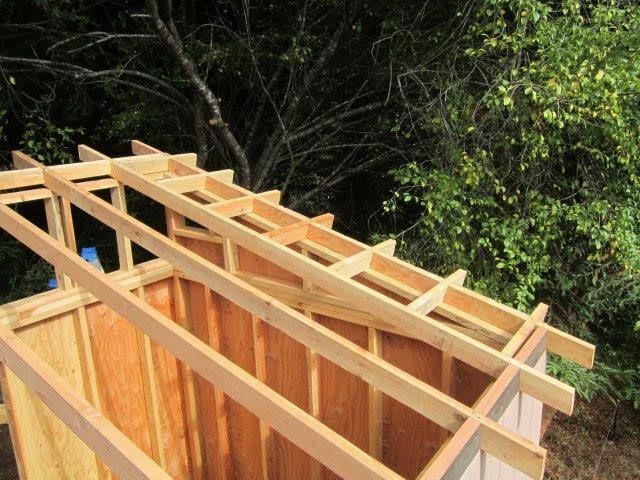 This is because of the increased headroom provided with the gambrel truss. Maybe you want to keep the style of your shed roof to match your home which could be a gable style roof. 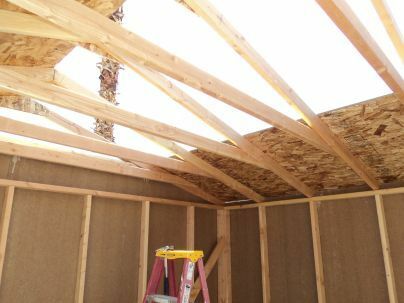 Depending on the roof pitch, your gable style shed could offer up quite a bit of storage space in it's shed loft also. 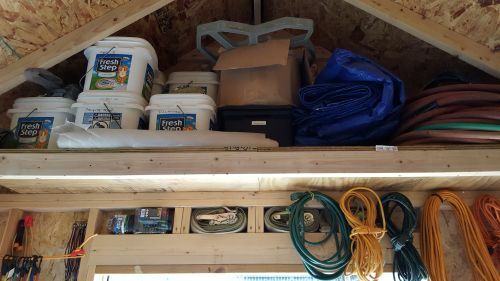 A saltbox style shed, and the lean to shed will not offer up as much storage space in the loft area, but there are still possibilities of utilizing some storage space up in their attic area. The 12x16 barn shed shown above is one of my most popular shed plans that I sell. 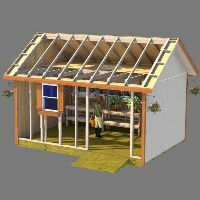 It can be used for a multitude of storage purposes and even a shed home or tiny house can be built using the plans. 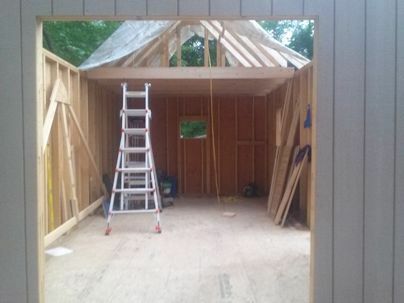 The shed pictured above is my wife's 12x16 gable style shed. The attic here doesn't look that big, but the roof pitch is like an 8/12 pitch. 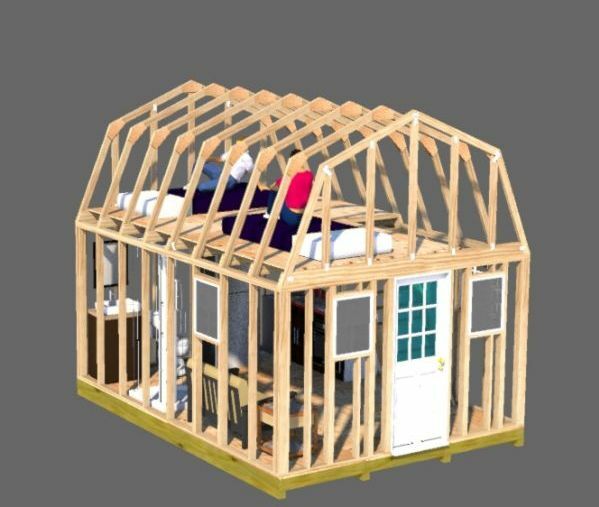 You could easily make a tiny house with this shed plan and have a nice sleeping area up in the attic. 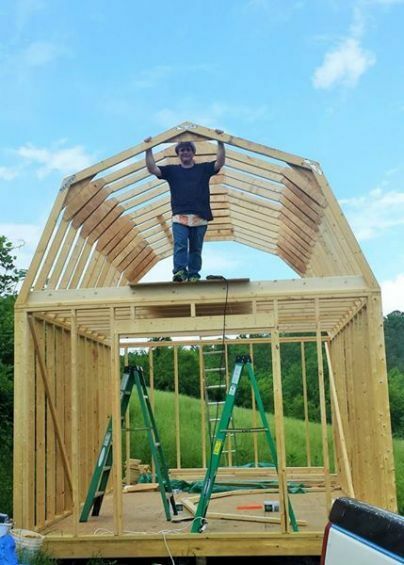 The big gambrel roof shed above is being used for a chicken coop. 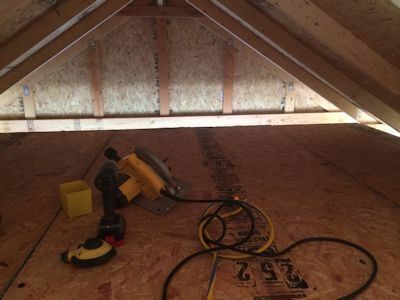 The customer uses his loft for storing supplies for his chickens. You can learn more about these plans here. 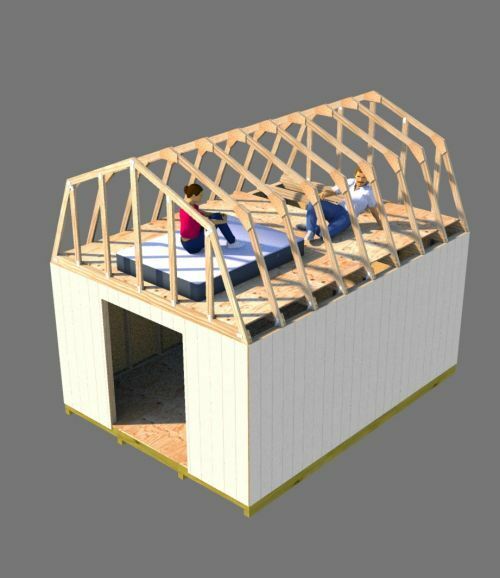 All of my gambrel roof shed plans that have nice loft areas. 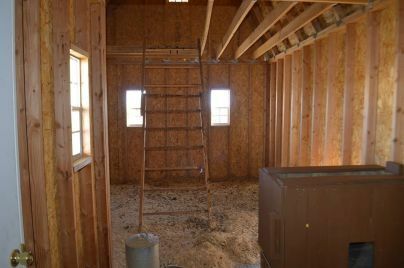 Leave shed loft and go to home page. 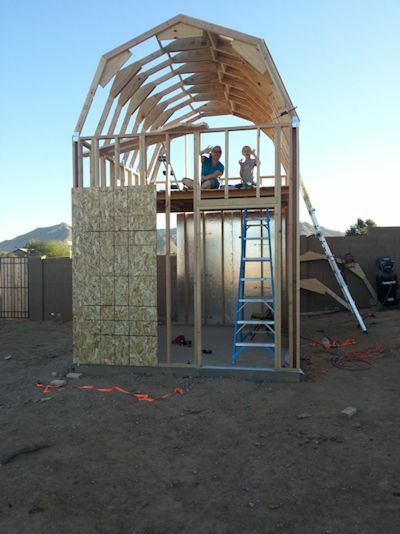 Amazing sheds built by my customers.. Roll up shed doors are easy to install on your awesome shed! Here's how to do the framing, and some suppliers of roll up shed doors. 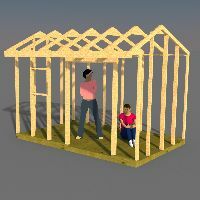 Build your 12x20 barn shed with these 12x20 shed plans. 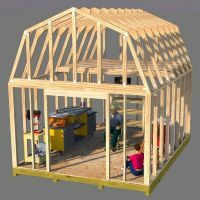 These 12x20 shed plans are an instant download in pdf format and come complete with building blueprints, detailed construction guide, materials list, and email support. 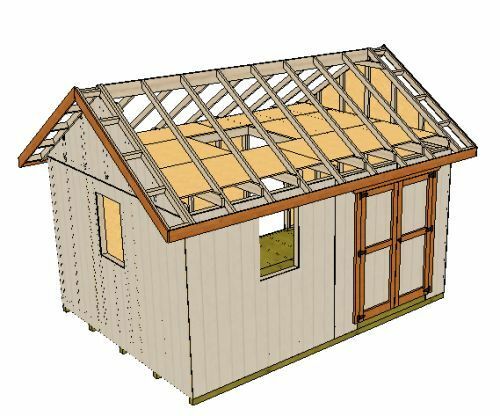 Shed plans that are easy to use, very affordable, and fun to build with. All plans come with full email support. 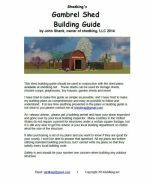 Affiliate Disclosure Policy By John Shank, Copyright © Shedking 2004-2019.